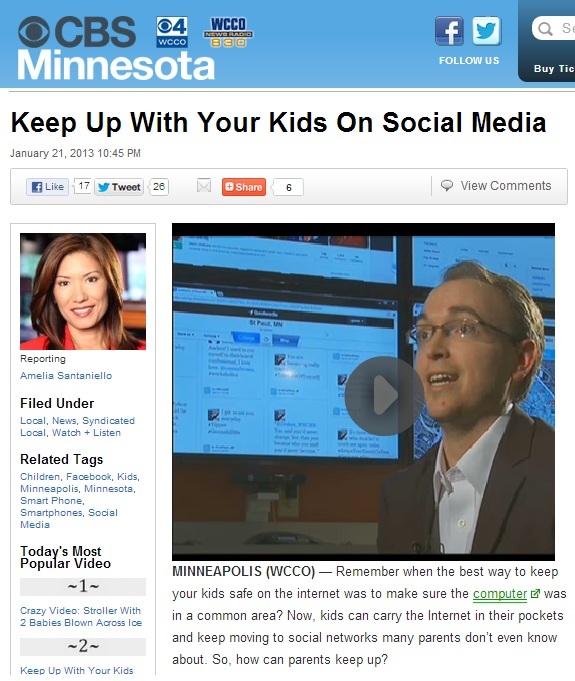 Weber Shandwick’s VP of Interactive Greg Swan tracks social media trends. Even he can’t predict where kids will end up next, but he says parents should still try. It should be not to spy, but to understand the issues their kids face as new apps keep emerging. “There are definitely some apps parents are not going to find any reward in: poking each other or sending snap shot pictures of each other, but I encourage them to try it and figure it out,” said Swan. That may be the key to security in this new media world: focusless on backseat driving, and more on teaching the rules of the road…. Swan added that he actually likes this new wave of disposable media because unless somebody saves a screen shot, those stupid pictures kids may be tempted to post won’t stay around to haunt them in the future.